Hello and welcome to Truth OR Myth, in today’s episode we’re taking a look at the Walker Class, it’s statistics and history to better understand it’s role within the Star Trek Universe. Please note, if you haven’t watched Star Trek: Discovery this video does, in fact, contain spoilers, so you have been warned! With that, let’s begin! 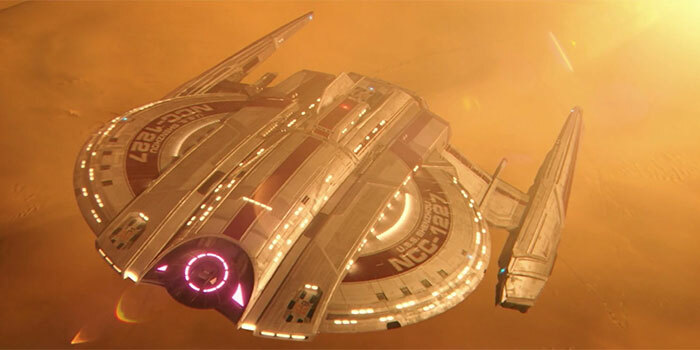 A classic starship design that connected to both the past and what would come in the future, the Walker Class was one of the workhorses of Starfleet in the early-mid 2200s. Launched early in the 23rd Century, the Walker Class was primarily comprised of a saucer section and a compact secondary hull. 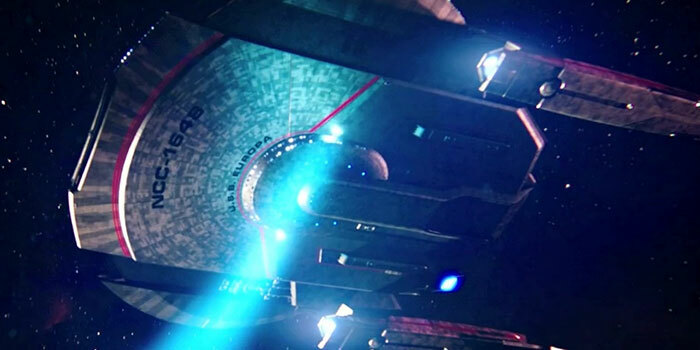 Like the NX class, it had a deflector dish mounted to the front-centre area of the saucer section and 2 nacelles that were mounted under the ship as the Miranda Class would have. With 15 decks, this class would still be in service in the 2250s even though at the time it was considered old compared to other starships within Starfleet. 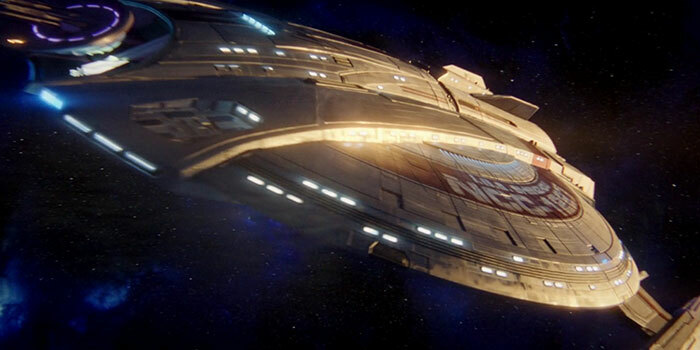 This starship class was also capable of atmospheric flight, a capability that most Starfleet starships lacked, allowing this ship to travel into a planetary environment for emergency missions where technology such as the transporters could not be used. For evacuation of the crew from the ships themselves this class also contained escape pods which could be launched through breakaway panels that lined the saucer section. Ships armaments were pretty standard of what was available of the time. This included phase cannons and photon torpedoes. Some upgrades to this class also saw the addition of the newly invented Phaser Emitters, which allowed a continuous stream of phaser energy rather than just phaser pulses that the canons provided. Defensive shielding was also standard for what was available at the time. This class was named for the famed NASA pilot, Joe Walker. 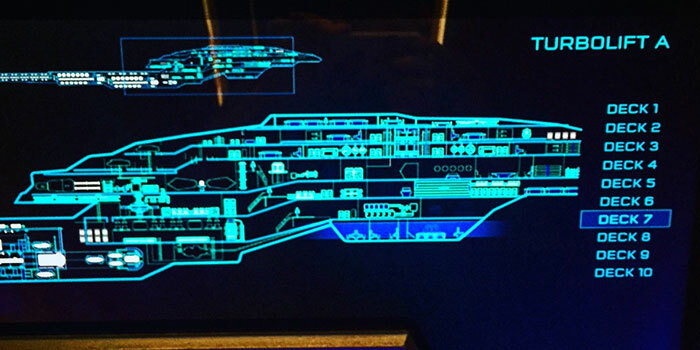 Unlike most other Starfleet ships of the time, the Walker Classes bridge was located at the bottom of the Saucer Section on deck 7 and contained a connected ready room for the Captain to have various meetings with officers as required. The Walker Classes bridge design was very dark in comparison with other Starfleet vessels. Primarily consisting of Steel Greys and Dark Blues this bridge design retained an industrial feel. The Captain’s chair was in the centre of the bridge with Helm and Navigation stations in front of the captain to either side. Stations for the 1st and second officer were to the Captains left and right. These stations could be modified to any station output that the respective officers who occupied them desired. Around the outer edge of the bridge were the official stations for communications, Science, Engineering and tactical. Access to the bridge was achieved by 1 turbolift which was centrally placed behind the Captain Chair. Though receiving minor upgrades to its technology over the years, the Walker Class contained many outdated systems. One of the most outdated systems was that of its transporters. By the 2250’s most Starfleet classes transporter systems had been upgraded from the lateral vector system still used on the Walker Class to a standard transporter system which utilized a lot less power and had increased range. The reason for retaining this design on the Walker Class is unknown but believed to be that Starfleet had begun to phase out this class in the early 2250s and felt, as a result, the upgrade was not necessary. Systems that were state of the art on the Walker Class, however, were that of its medical facilities. 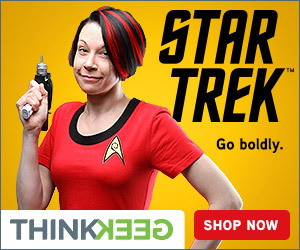 Starfleet’s primary duty was to that of all its officers so this was no surprise. This class even included an anti-proton chamber to treat officers that were suffering from genetic unspooling. One of the most famous ships in Starfleet history of this class was the U.S.S. Shenzhou commanded by Captain Phillipa Georgiou. One of the most highly decorated Captains in Starfleet history, Georgiou would command the Shenzhou during the start of the first Klingon war at what would become known as the Battle of the Binary Stars. Severely outmatched by Klingon forces that not only had superior weapons power but a practical cloaking stealth technology, the Shenzhou would find herself powerless and unable to continue the battle shortly after the battle had begun. Believed to no longer be a threat by the Klingon Starships, they left the Shenzhou adrift on course for a large debris ring surrounding that systems binary stars. The Shenzhou, however, was saved by the U.S.S. Europa’s timely arrival and use of its tractor beam but was completely dead in the water. After witnessing the destruction of the Europa by the Klingons, Captain Georgiou and first officer Burnham devised a unique plan placing a torpedo warhead attached to a Klingon body floating nearby which detonated when it entered the Klingon ship. 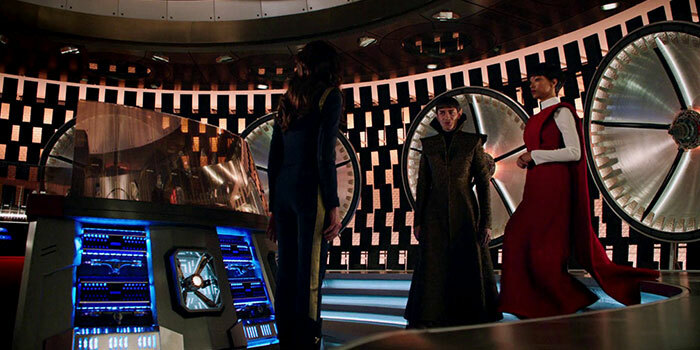 This severely damaged that ship and Georgiou and Burnham beamed to the vessel in an effort to capture the Klingon Leader and end the war before it could go any further. During this mission, however, Captain Georgiou was killed and her first officer Commander shot and killed the Klingon Leader effectively turning him into a martyr when Burnham was beamed back to Shenzhou. 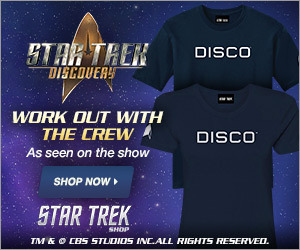 Because of these actions, and an attempted Mutiny aboard the Shenzhou earlier, Burnham was evacuated and placed under arrest. After a short trial where she admitted her guilt, she was sentenced to life imprisonment as Starfleet geared up for war with the Empire. Though not considered a ship of the line in Starfleet, the Walker Class held an elegance and beauty to those that served aboard one. Being able to be utilized for various mission profile requirements, the Walker Class served with honour and distinction until eventually being phased out of service in favour of classes such as the coveted Constitution Class and Crossfield Class. And although this classes history was slightly tainted by its involvement in the first Klingon War and the subsequent death of Captain Georgiou, no one could deny the significance this class held to both for Starfleet and the United Federation of Planets for honour duty and upholding the moral values of the Federation including sacrifice in an effort to save lives. Thank you for watching today’s episode of Truth OR Myth, remember subscribe to channel hitting that little bell icon so you won’t miss a single video we release.